All MESA teachers hold weekly 45-minute tutoring sessions before and/or after school to further support their students. This small group, and many times one-on-one academic support, is referred to as office hours. 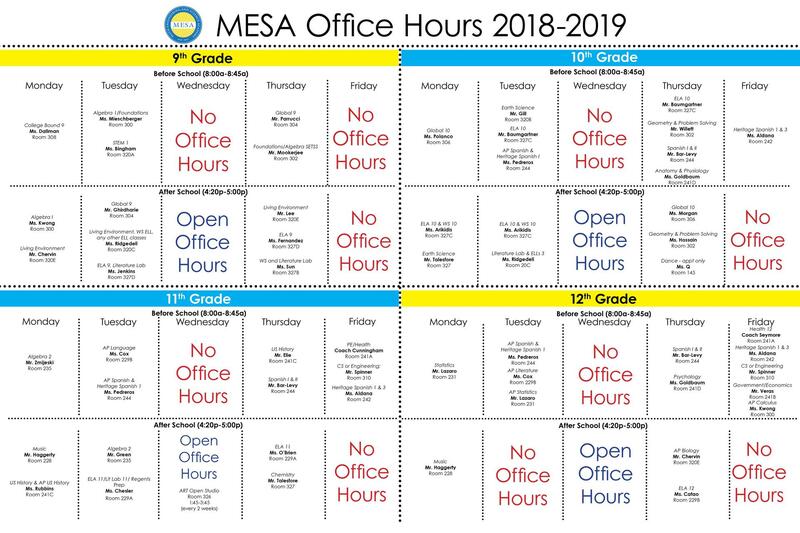 During office hours, MESA students are able to focus on a learning standard that they are struggling to understand as well as re-take an exam with the goal of achieving a higher grade. On Wednesdays, students who have not met a baseline E-Score in the previous week are assigned to office hours for additional help. Students who are failing one or more core classes in a given trimester will be mandated to attend a minimum of two office hours per week. Otherwise, students attend office hours voluntarily.